There was once when I really did not know what i would be doing during that time , if my parents had not essentially subsidized every choice I have made while trying to figure out what should I do for my life. They paid for my college fees and I am pretty sure I was the only person, among those I knew, who did not have student loan debt.Therefore, I realized that my situation was not a typical one as a lot of my friends have parents who do things for them such as paying their phone bill or helping out with rent, still they were also facing monstrous student loans. These was ten years ago and I am always having this thought; how do I repay my parents for all of their sacrifices ? 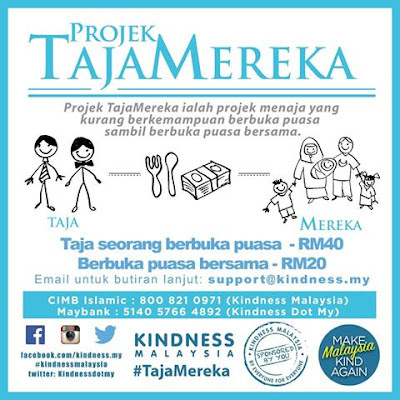 The compassionate act of my parents is the kick-start of the idea to initiate Kindness Dot My (Kindness Malaysia) as a platform for me to repay my parents by performing random act of kindness as many as I possibly can. 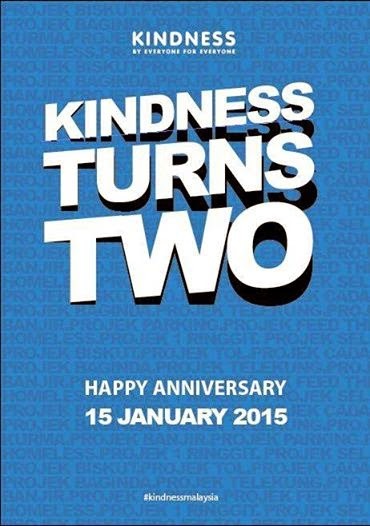 Gratefully, it has been two years now for Kindness Dot My and for over the years too Kindness Malaysia has exemplified the bigheartedness, compassion and kindness of Malaysian community. Countless people from across the country are now inspired to do kindness deeds which lead to a positive attitude and create chance for a better life, thanks to you. From a small social enterprise operating in Shah Alam, Kindness Malaysia has slowly grown up throughout Peninsular Malaysia, Sabah and Sarawak. Gladly,for this year we are looking forward to be part of The World Kindness Movement (WKM). Thank you to General Secretary of WKM for inviting us to be part of the organization since last year and it is an honour to be working together for our upcoming project. Yes, this year we are structurally ready to go further internationally. To all of you; the volunteers, donors, partners and supporters, you are no exception. You have been doing an incredible work inspiring others to perform random acts of kindness to everyone regardless of religions and skin colors. It is one of the way in helping the community to combat stress and push their self-esteem to the highest level. Let’s continue to instill kindness into every heart and living soul to make the world a better place to live.